How should I obey my parents if they don’t agree? It is true that the Bible commands us to honor and obey our parents in many places: Exodus 20:12, Leviticus 19:3 and also in the New Testament, Ephesians 6:2. Children should listen to their parents’ teaching (Proverbs 1:8; 6:20). Children should not dishonor their parents or treat them with contempt; the Bible says that anyone who does that, is cursed (Deuteronomy 27:16)! Honoring your parents is the first commandment that comes with a promise: “Honour your father and your mother, that your days may be long in the land that the Lord your God is giving you” (Exodus 20:12). So God honours you when you honour your parents! In the case that the parents tell the child to do different things, it is impossible for the child to obey them both. The parents do not form the unity they should be and their child is not responsible for that. So he or she cannot be blamed when both parents are not obeyed. The best thing to do is to bring the matter before God in prayer and ask for His guidance. 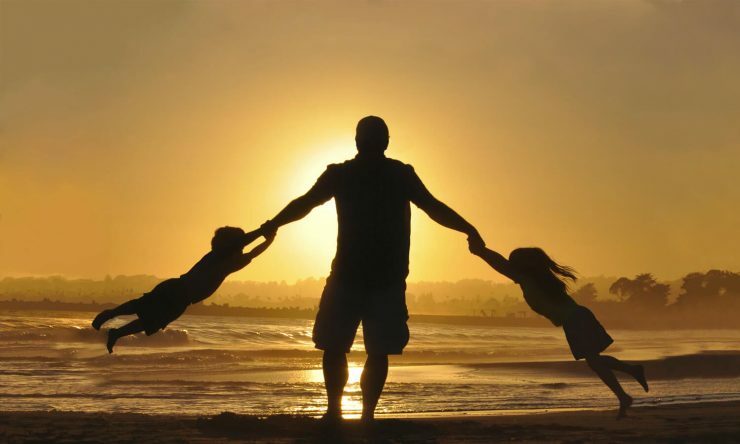 He will provide a way out when the intention is to obey His command – the command to obey both parents. God always honors obedience to His commands! Even though it might be very hard to obey both parents, children can still honour them both. The Bible warns strongly against treating parents with contempt or despising your parents (Deuteronomy 21:18,19; 27:16; Proverbs 19:26). They are the ones who gave life to their children (Proverbs 23:22,25) and so God wants children to respect their parents, regardless of their behavior. This means that you do not use your parents against each other, but speak respectfully about them. It means showing willingness towards the parents to do things for them; to show love and respect. Fathers are warned by the apostle Paul not to provoke their children, lest they become discouraged (Colossians 3:21), and they are told to but bring them up in the discipline and instruction of the Lord. (Ephesians 6:4). So fathers, and mothers too, have a huge responsibility to handle their children wisely and teach them about the Lord. God will hold parents responsible when they fail to do their parental duties! Also read How can you honor your parents? What does the Bible say about caring for old parents? Were Adam and Eve allowed to have children? How can you honor your parents? Why did god give less strength to girls than to boys?